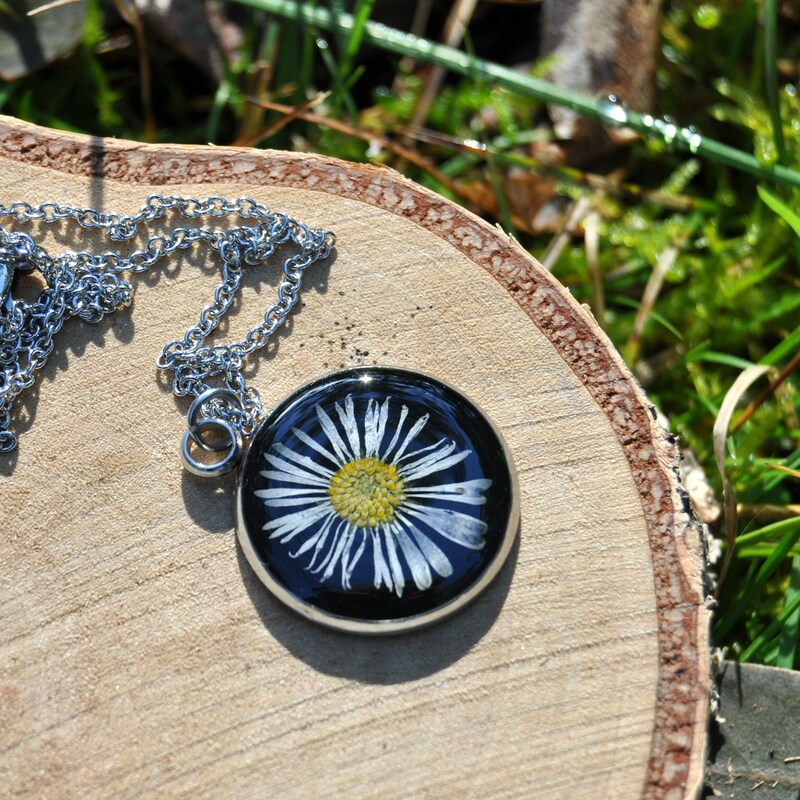 These little round pendants are made with genuine English Daisy flowers, which have been carefully gathered, pressed and dried then set in a non-tarnishing, stainless steel setting. 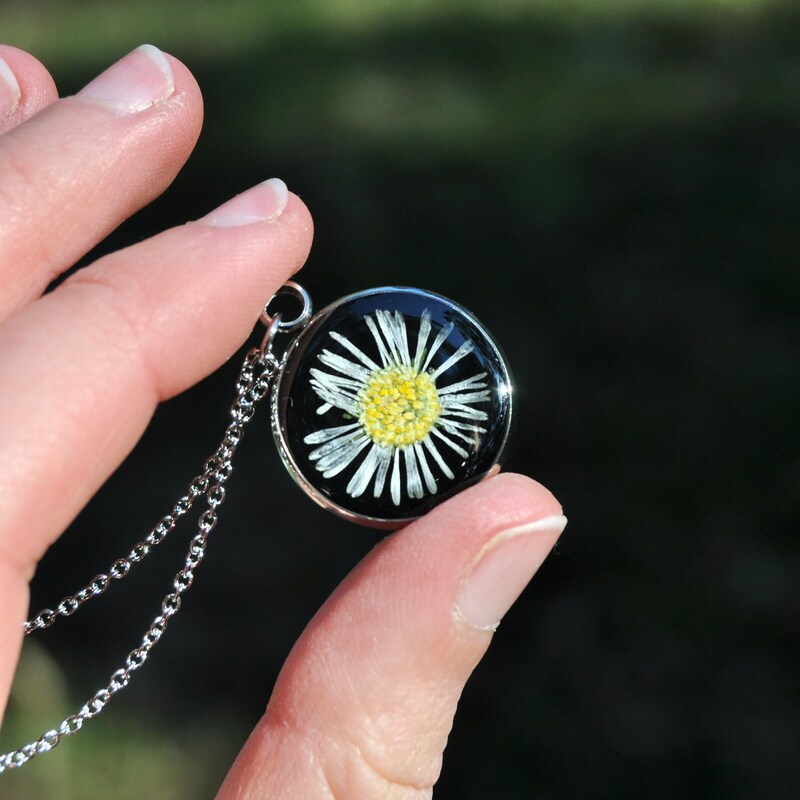 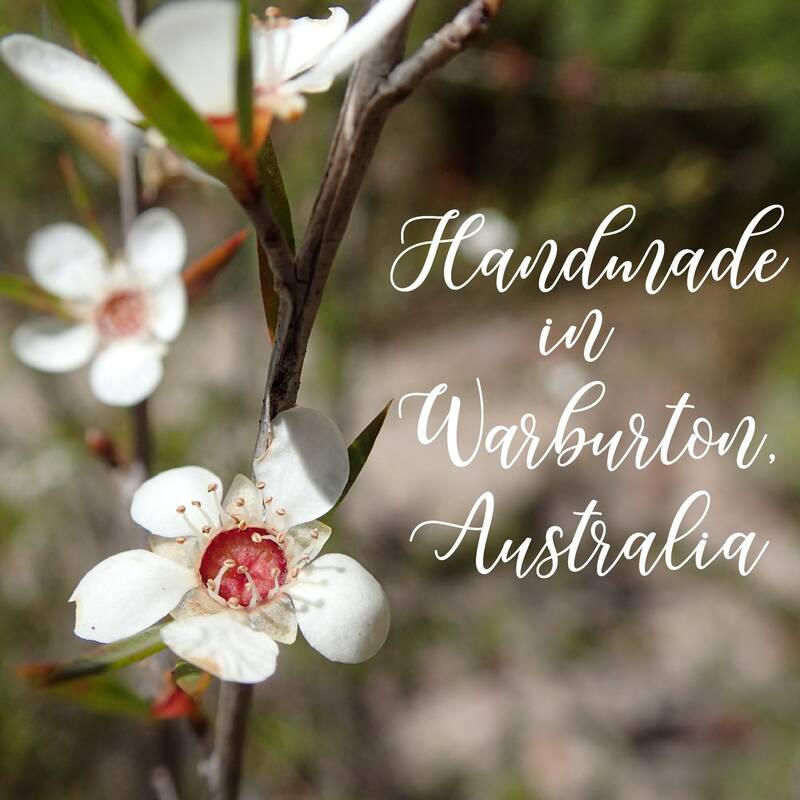 The English Daisy is a symbol of children and innocence, and might make a lovely gift for a child who loves nature, or as a thank you gift for your flowergirl. 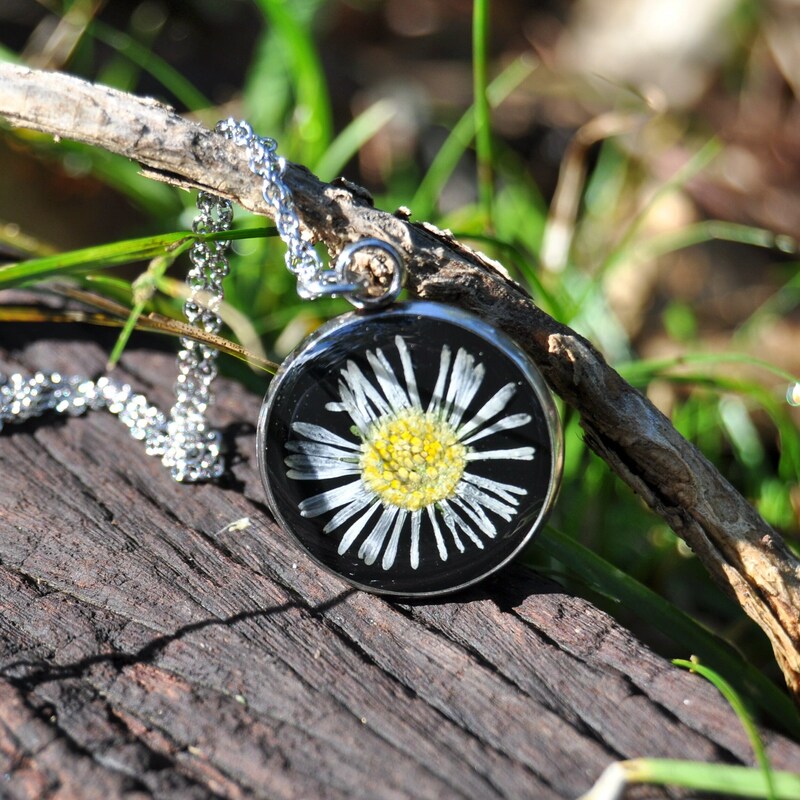 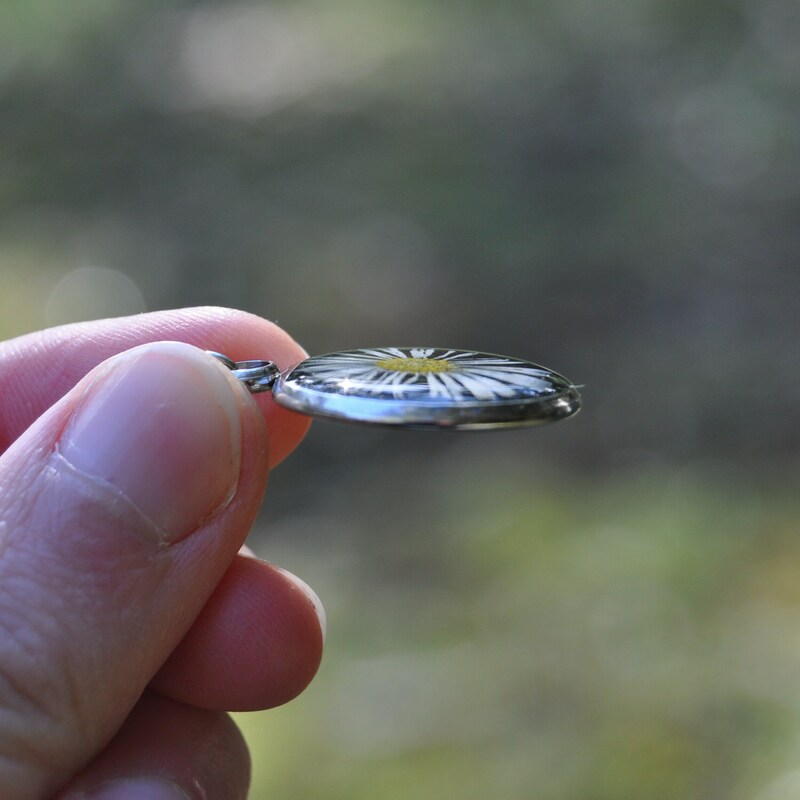 The steel setting is finished with a layer of clear resin over a the flower and black background. 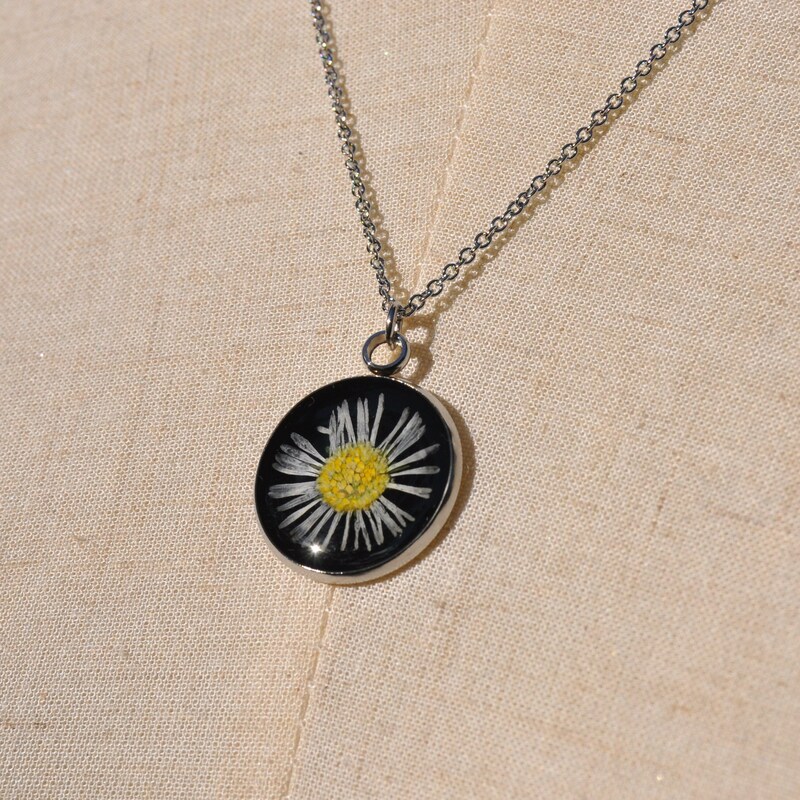 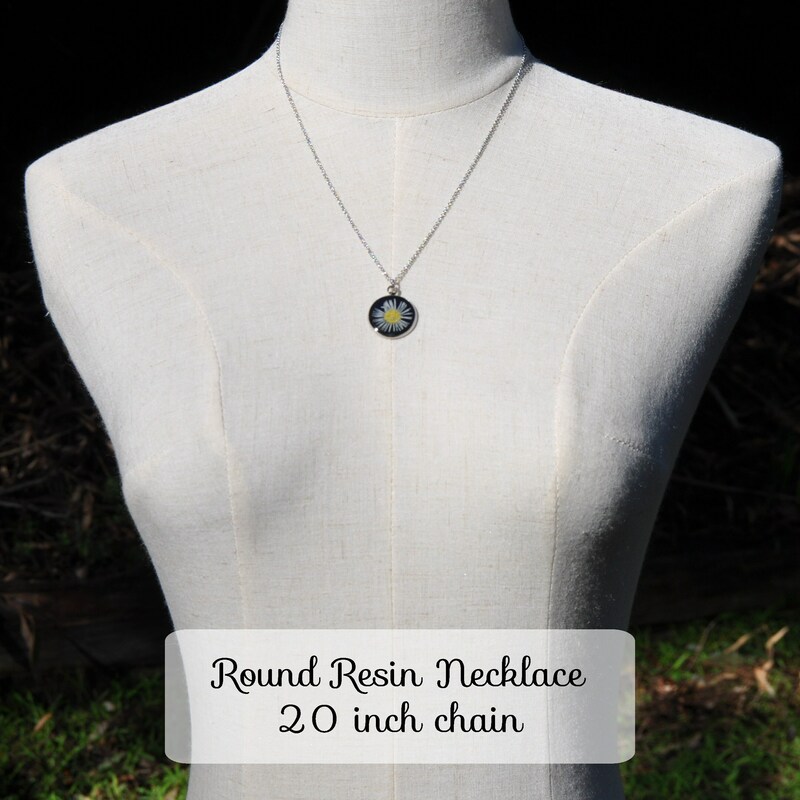 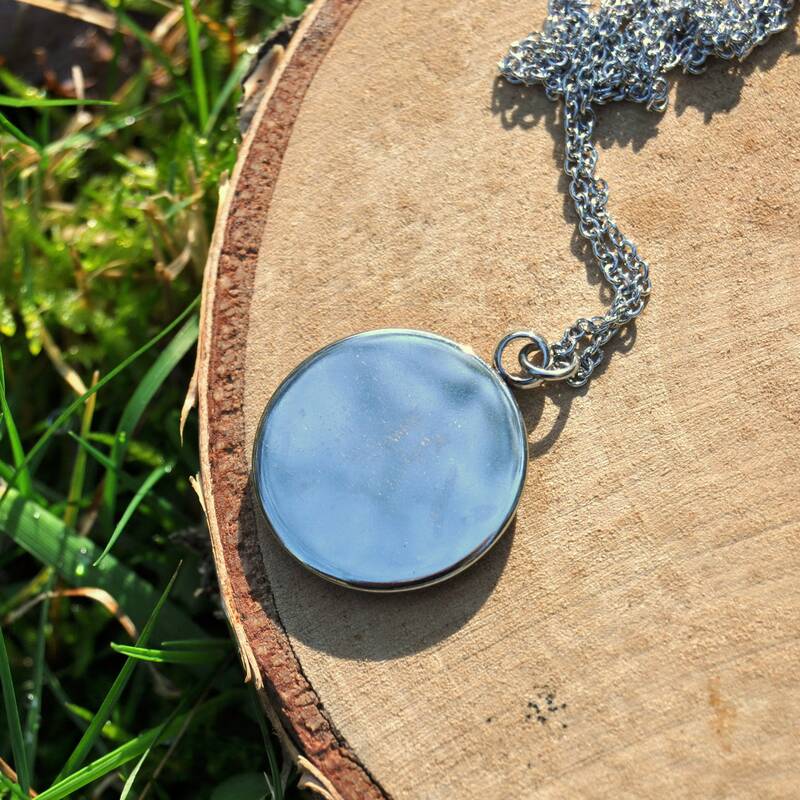 Each round pendant measures approximately 22 mm round , and is about 3 mm thick.